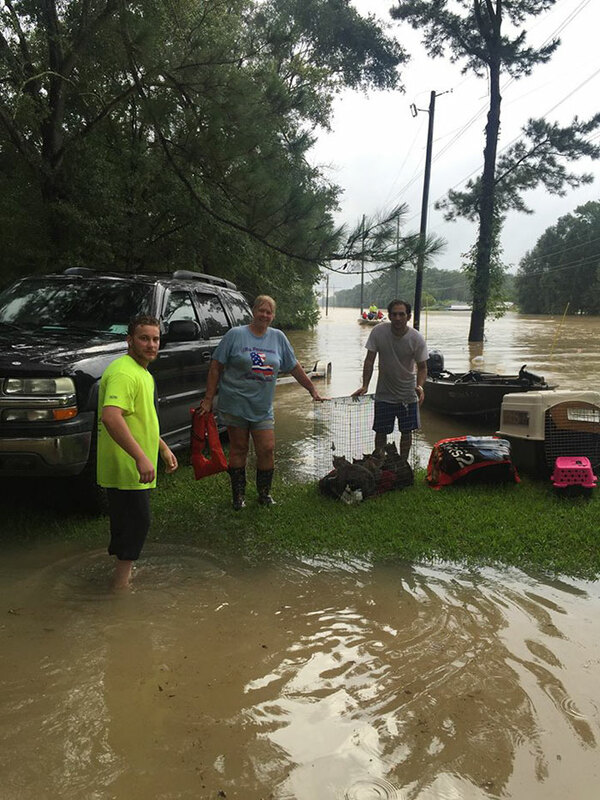 Since last week, devastating floods in Louisiana have taken the lives of at least 7 people and 20,000 have been rescued but some brave locals are still refusing to leave the area to save helpless animals from drowning. Last Friday, Louisiana’s Denham Springs Animal Shelter was so flooded that only its roof was visible. 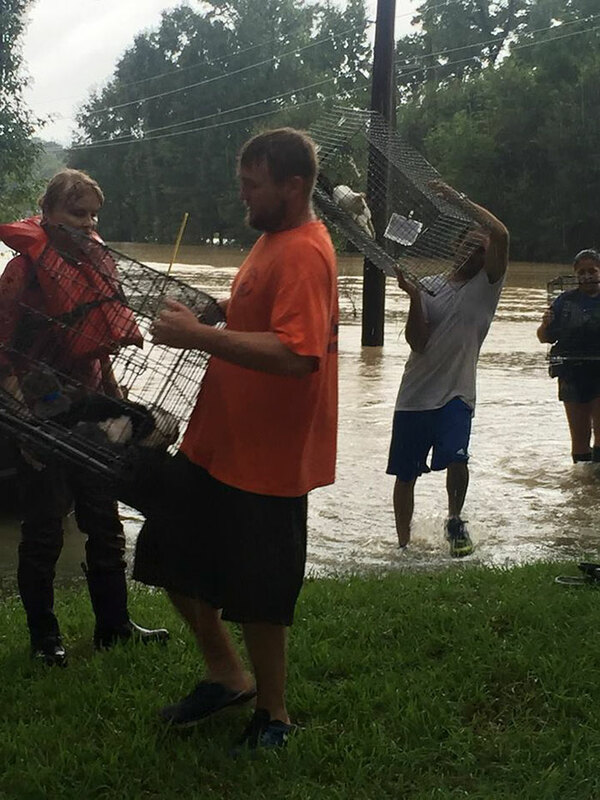 “The dedicated staff and volunteers fought to save as many animals as possible from the flood waters, eventually having to unlatch the kennel doors and let the dogs swim out and climb onto the roof,” the rescue wrote on GoFundMe. The animals were then transported with boats to safety and neighbors who didn’t evacuate have been helping the local organizations to provide temporary care for the animals. 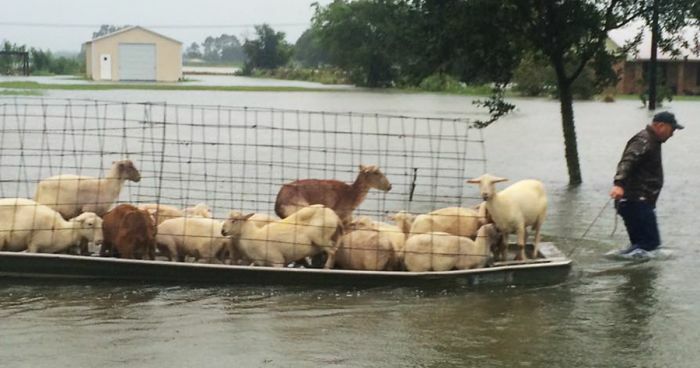 Many other animals were saved too, for example, a man was seen pulling a boat full of sheep to safety. 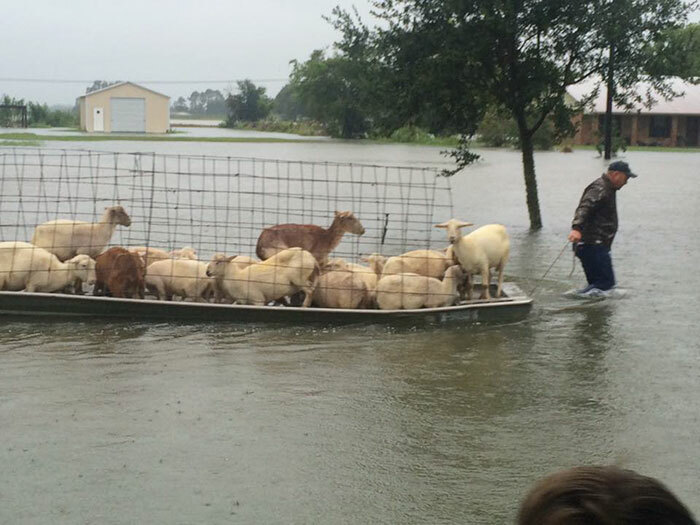 “It’s Noah’s ark Cajun-style,” Christie Noel commented on Facebook. 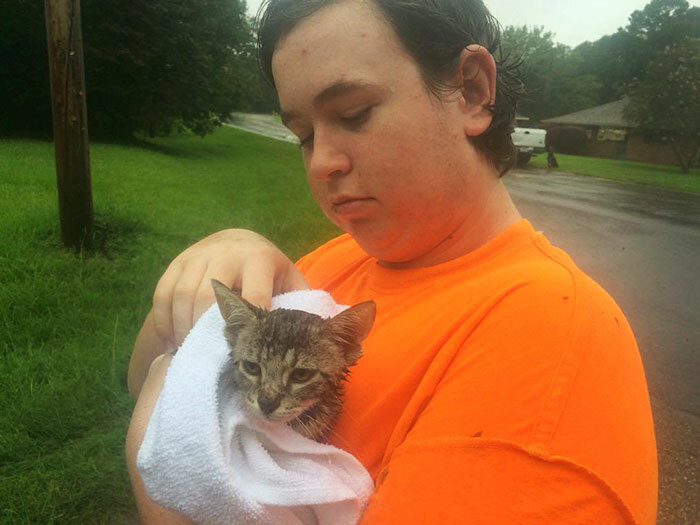 As of Sunday, Louisiana Department of Wildlife and Fisheries has also rescued a total of 2,324 people and 464 animals. Though the rains have eased this Monday, forecasters warn that the threat is far from over. Some people are still awesome! I'm in that flood. Lost my house. I'm so sorry. I hope you can rebuild your life soon and it is better than what was destroyed. My thoughts and prayers are with you. Thank you for all the support. I can salvage some of my stuff but all my old artwork is ruined but at least my family and my dogs are okay. Is it salvable or do you have to rebuild from the ground? Will your government help you get a roof above your head? I hope that you at least are okay. I am so very sorry to hear that. It was not just a house, it was your home. I hope you are ok and I wish you all the best. So glad your family and pets are with you. Your love and support that you share will help you find a way to rebuild. God bless you and your loved ones. So sorry Luci. I pray for you and the many other people for strength to rebuild your lives again. Such a difficult time for all.